OH NO!! SUDANESE MODEL MISSING!! Points: 1266520 Topic: OH NO!! SUDANESE MODEL MISSING!! Ain't that the cousin of Alek Wek or is that another Sudanese model? I save her magazine covers and shoots . 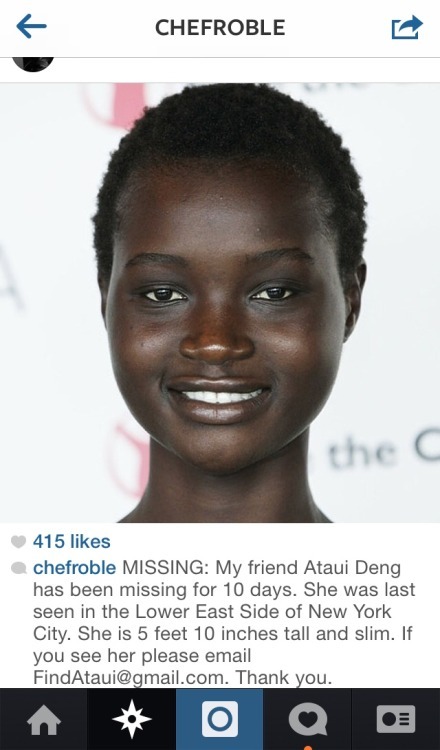 God please allow her to be ok .
She's been FOUND! Alive, but she's in the hospital.